Abhijeet Sangwan earned his Bachelors degree in Electronics and Communication Engineering from Visveswaraiah Technological University (VTU), Bangalore, India, in 2002. He earned his Masters and Ph.D. degrees from Concordia University, Canada and The University of Texas at Dallas, U.S.A. in 2006 and 2009, respectively. During 2002-2003, he worked for MindTree Consulting where he designed and developed enterprise datawarehouse systems for Unilever. 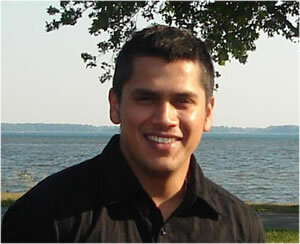 He interned with the Human Language Technologies Group at IBM's T.J. Watson Research Center, Yorktown Heights in 2008. From 2009, he has been a part of The Center for Robust Speech Systems (CRSS) at The University of Texas at Dallas. His research interests include Automatic Speech Recognition (ASR), Automatic Accent Assessment, and Language Identification Systems. A. Sangwan and John H. L. Hansen, "Automatic analysis of Mandarin accented English using phonological features," Speech Communication 2011. A. Sangwan, M. Mehrabani, and John H. L. Hansen, "Language Identification Using a Combined Articulatory Prosody Framework," ICASSP 2011. A. Sangwan and John H. L. Hansen, "Keyword Recognition with Phone Confusion Networks and Phonological Features based Keyword Threshold Detection," ASILOMAR 2010.